The closest major airport to UCLA is the Los Angeles International Airport, LAX. From LAX, take the 405 Freeway north to the Wilshire Blvd. East exit. Continue east on Wilshire for several blocks, moving into the left lane. Make a left turn on Westwood Blvd. and follow it into campus. 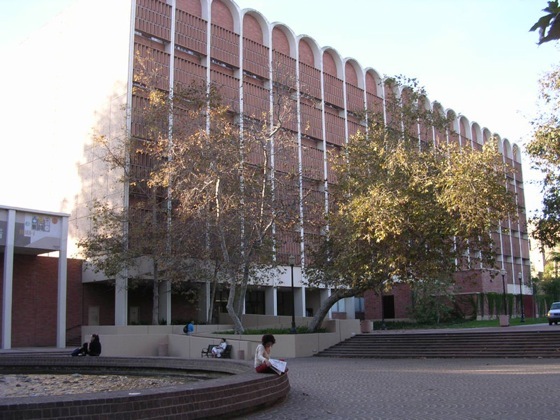 UCLA's main campus is bounded by Sunset Blvd. on the north and Le Conte Ave. on the south; the east border is Hilgard Ave. and the west border is Gayley Ave.
Metro: Metro Lines 2, 302, 305 and 761 serve campus, or transfer from other Metro Bus lines. Santa Monica Big Blue Bus: Lines 1, 2, 3, 8 and 12 bring you to campus, or transfer from other lines. Culver City Bus: Line 6 brings you directly to campus, or transfer from Lines 1-5. Direction to Department of Physics and AstronomyDepartment of Physics and Astronomy is located at "Knudsen Hall". Check the Interactive Campus Map. It is close to the Westholme Entrance on Hilgard Avenue. If you drive your car, please park at the Parking Structure No.2. Arisaka's office is located at Knudsen Hall 4-145 on the 4th floor.